to help families cope with pediatric illness, loss, or trauma. to very sick children, their families, and communities. from the point of medical crisis or trauma until they once again function independently. for over 5,400 children and families around the world. Chai Lifeline's programs offer emotional, social, psychological, and financial assistance to families living with pediatric illness or loss. 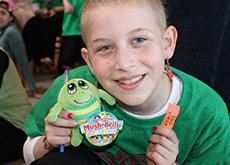 Resources and information on living with pediatric illness or loss. Your contribution changes lives for the better. Give time. Give expertise. Give love. Explore the many ways you can help. 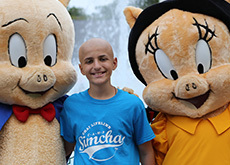 Chai Lifeline has grown from a small, community-based summer camp program for children with cancer to one of the preeminent international health support networks supporting seriously ill children, their families, and communities. 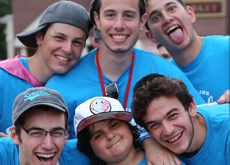 Chai Lifeline's programs and services meet the unique emotional, social, and financial needs of families living with serious pediatric illness or loss. From the moment of diagnosis or trauma, Chai Lifeline's professionals and trained, compassionate volunteers step in to help restore equilibrium and bring joy and hope back into lives devastated by medical crises and illness.